Allen's company of the same name has been working on the craft since 2011, with the help of Scaled Composites. 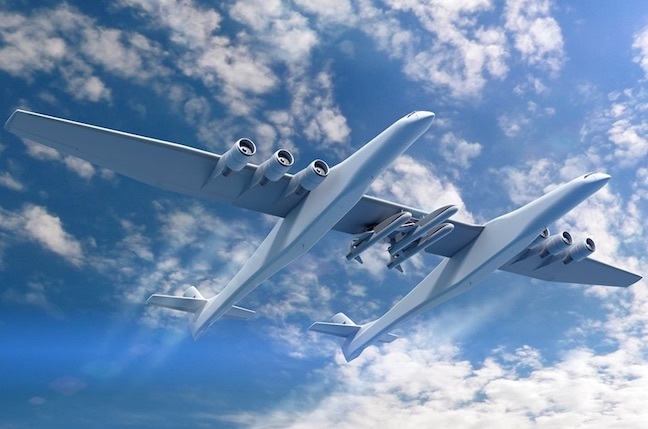 As the illustration above (here for m.reg readers) shows, the launch vehicle(s) will be mounted beneath the central wing joining the two fuselages. 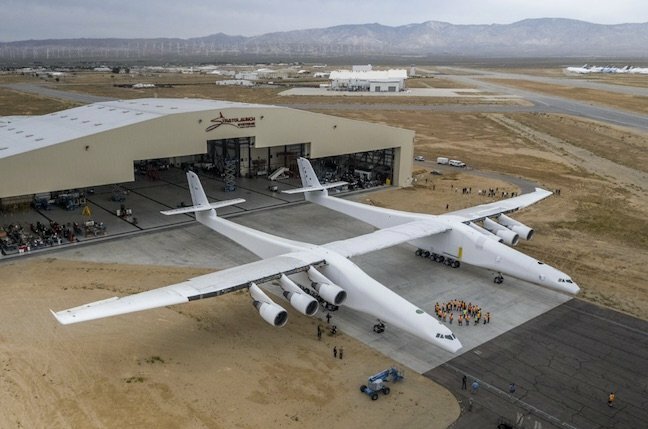 Plenty of folk have pointed out the advantages of hoisting rockets a little higher into the atmosphere, but Allen emphasises flexibility of launch locations as one of the Stratolaunch's strengths. 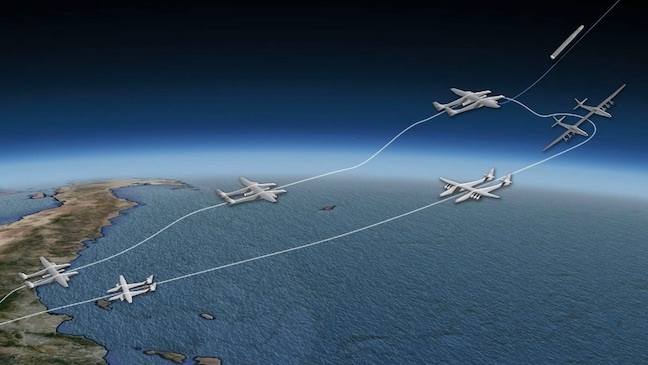 By visiting different airports, it may also offer access to different orbits.